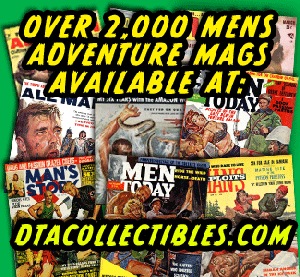 American Manhood magazine was an unusual men’s adventure magazine published by Weider Periodicals Inc. 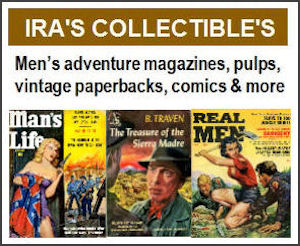 The Weider company did publish several magazines that were representative of the genre, such as Fury, Outdoor Adventures and Safari. But American Manhood was different. 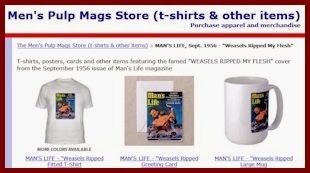 It was kind of a cross between a bodybuilder magazine and a men’s adventure magazine. That probably reflects the fact that the owners of the Weider publishing firm were the famed bodybuilder guru Joe Weider and his brother Ben. In addition to men’s adventure magazines, the Weider brothers also published several popular bodybuilding and fitness magazines, including Muscle & Fitness, Flex, Men’s Fitness and Shape. If you read vintage men’s magazines or comic books, you may know Joe Weider best from the ubiquitous Weider bodybuilding ads that ran in men’s adventure and bachelor mags and comics in the 1950s, 1960s and 1970s. My favorite is the Seventies ad at right that featured a young Arnold Schwarzenegger. Now, I admit, I know nothing about the world of bodybuilding. And, guys like Joe Weider and Arnold Schwarzenegger seem like manly men to me. But looking at the covers of American Manhood — which was published for about two years in the early 1950s — does make me wonder if it was ahead of it’s time when it comes to gays in the military. 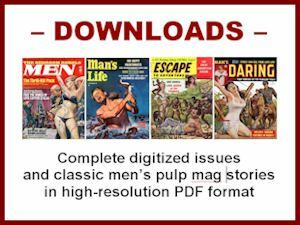 Adam Parfrey’s excellent book about men’s adventure magazines, It's a Man's World, says that the wild underwater cover painting for the December 1952 issue of American Manhood was done by Peter Poulton. The other cover paintings shown here are uncredited, though they look like they may have been done by the same artist. I was unable to find a bio of Poulton. He does appear to have painted covers for some of the prewar pulp magazines. 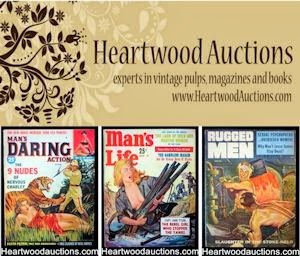 If anyone has more info about Peter Poulton or the American Manhood covers, please let me know by sending me an email or leaving a post on the the Men’s Adventure Magazines Facebook Group.